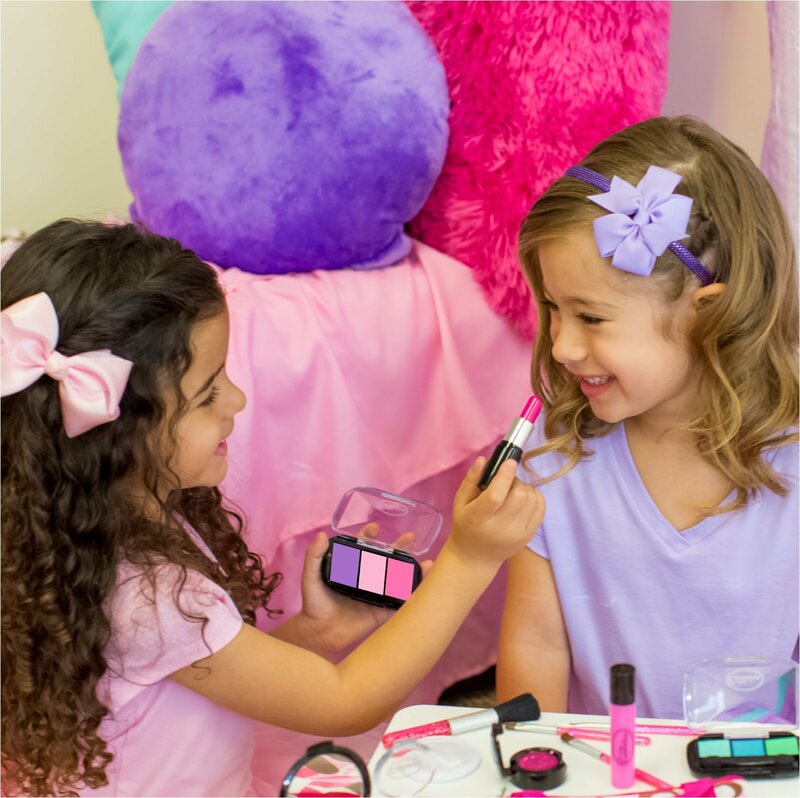 The perfect pretend makeup set – with all of the essentials you won’t believe how realistic this fake makeup looks. 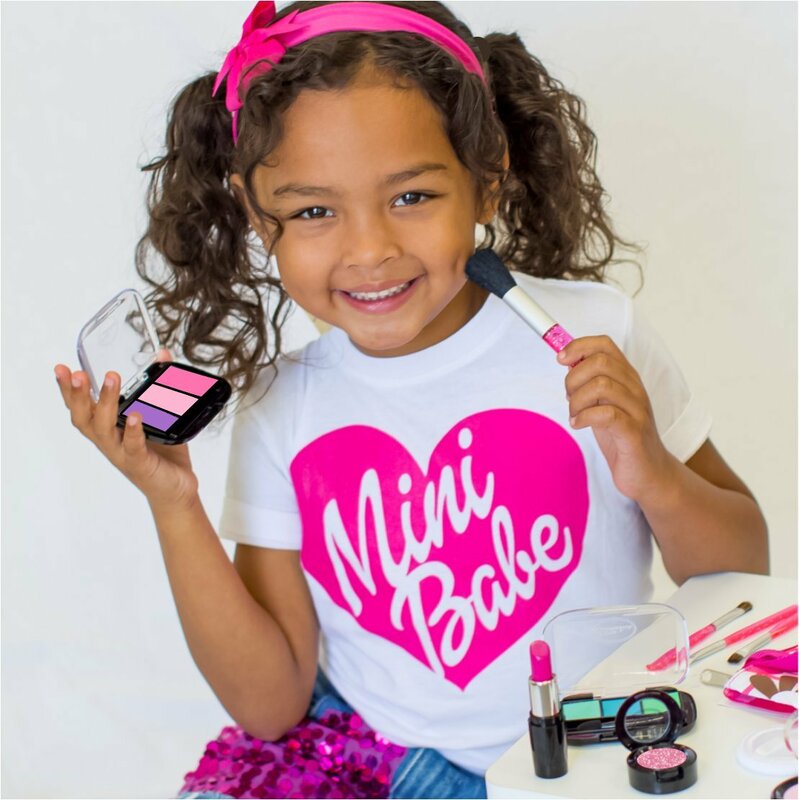 With vibrant shades and a realistic texture this set is sure to please your little girl. And like all little cosmetics products, the makeup is completely fake and absolutely mess free little cosmetics is quality pretend makeup that looks and feels realistic. The pretend makeup does not transfer onto skin or any material. It does not apply to skin. This is not real makeup. 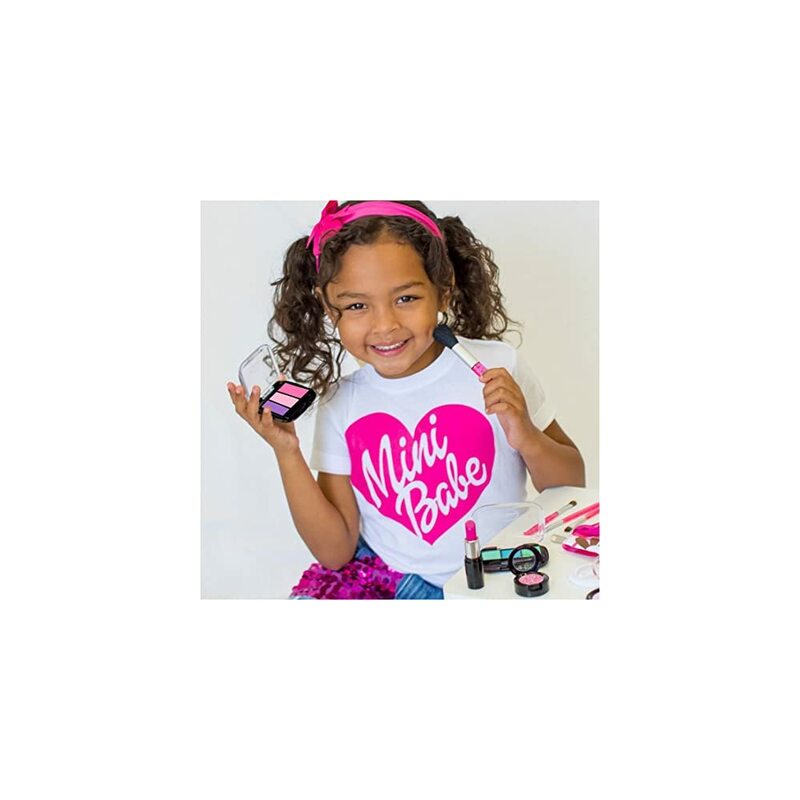 Little cosmetics is fake, toy makeup intended for creative play. Warning: Small parts. Choking Hazard: not for children under 3 years. every little girl likes to play with this, as long as they dont get into the real stuff it is alright. imagination is a great thing.